This is an exciting opportunity for our students. 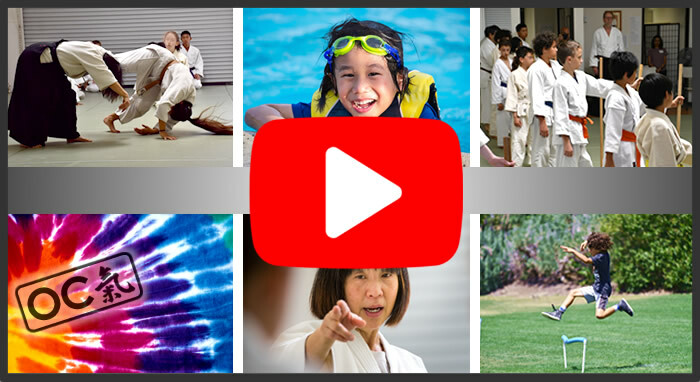 Children who attend this event always return to their regular classes with renewed enthusiasm for their Aikido training and many stories to tell. The weekend is designed to be fun but focused. The weekend gives students the opportunity to learn from some of the top Aikido instructors in the Ki Society. The Children's Aikido Weekend is an annual event. This will be our 5th annual Children's Aikido Weekend in Orange County. All Orange County Ki Society students under the age of 18 may attend. The children train Aikido in classes taught by the federation's senior Aikido instructors. Additional activities will include swimming, outdoor activities and application of Ki principles to sports. A sample of what has been taught in the past includes basketball, soccer, juggling, an obstacle course, kickball and baseball. The classes will be held at the Orange County Ki Society dojo. We will also use a nearby community swimming pool and a local city park. The event will be conducted on May 18th and 19th. The event activities are on Saturday from 8:45am until 7:00pm and on Sunday from 8:45am to 2:00pm. Meals are provided during the event and all students eat together as a group. This will include lunch and dinner on Saturday and lunch on Sunday. Vegetarian options are available. Please make us aware of any food allergies. What About Supervision and Safety? Senior Aikido instructors supervise all activities including training and meals. In addition, "group leaders" are assigned groups of 4 to 6 children. These group leaders are responsible for the students in their group. There will be professional lifeguards during the recreational swim time. Roll is taken after every activity. One child is $105.00 ($95.00 by May 8th). Additional siblings are $65.00 ($60.00 by May 8th). Group leaders are $60.00. The event fee includes everything for the weekend including a special t-shirt. One of the goals of our organization is to make training available to everyone, regardless of financial situation. We have limited scholarships available.